We're home to the area's most experienced Level II Trauma Center, but we fix broken fingers too. 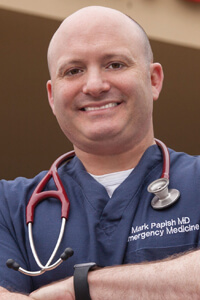 When seconds count, emergency medical services - handling everything from bumps, bruises, and broken bones to chest pain, difficulty breathing, severe infection, and more - are provided by a team of highly skilled physicians, nurses, and clinicians who are supported by the latest imaging and diagnostic technology. Patients experience an easy registration process, short wait times, and private examination rooms. Our Fast Track allows patients with minor injuries or concerns to be evaluated and treated quickly, usually seeing a healthcare provider in 30 minutes or less. MidHudson Regional Hospital also works with local school districts, providing essential guidance in times of crisis or emergency situations. To reach our emergency department, call 845.431.8220.